PT Problem of the Day: Hope Street bus scrapped – how about a Community Bus service? Brunswick’s Hope Street 509 bus service runs for the last time this week. Public Transport Victoria is adamant the route’s low patronage does not warrant the cost, and that it is too close to other services. The route is only 2km long, and does not connect to train services. It’s clear that some residents, particularly those with limited mobility, will be affected by the closure. No wonder locals have made a short documentary about it. Perhaps the answer is for the City of Moreland to step in and provide a community bus service along Hope Street. Across the river in the City of Port Phillip these buses are provided free of charge along two scheduled routes for those who can’t use regular public transport services, connecting to shopping, medical and recreational facilities. And it would make sense for the state government to help fund it, given they and PTV have cut funding to the 509. Overall there is a need to reform Melbourne’s bus services into more a direct, efficient, frequent, easy-to-understand route structure, to make public transport more competitive with driving. 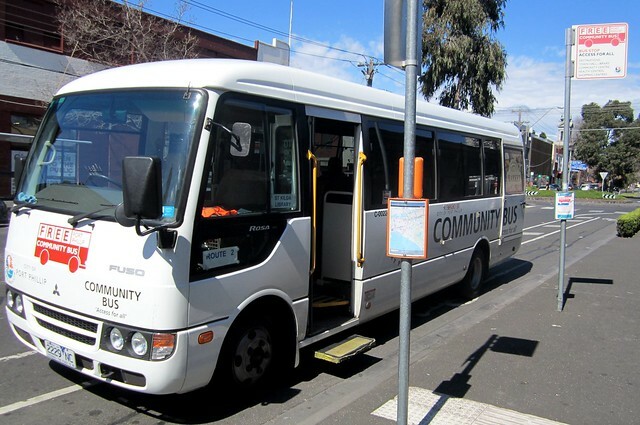 Providing community bus services where needed would ensure changes don’t disadvantage passengers with limited mobility, leaving them unable to travel. PT Problem of the Day: Is this the way to Flinders Street Station?